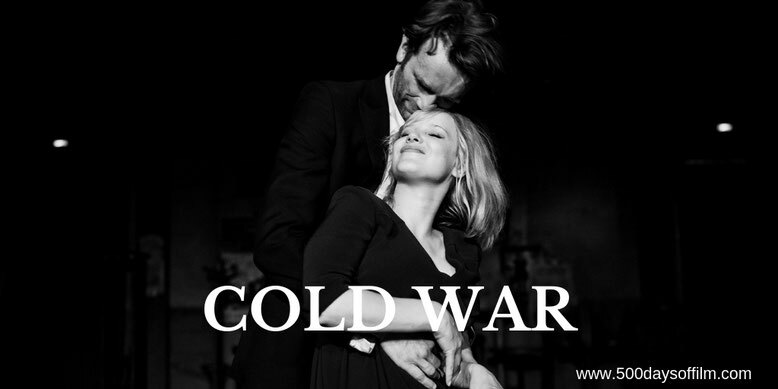 So says Wiktor to Zula in Pawel Pawlikowski’s stunning film, Cold War. Love is love. That is that. For in this beautiful and heartbreaking story, Wiktor and Zula’s love is inevitable, inconvenient and inescapable - a powerful, universal and elemental force. Their journey is both intimate and epic (this is no simple Nick Sparks romance). Wiktor and Zula’s relationship is tested over and over again - both by the suffocating constraints of Communism and the overwhelming challenges of life in post-war Europe. As a result, Cold War is a breathtaking love story and also a gripping exploration of survival and devastating sacrifice. Pawel Pawlikowski is a master of show, don’t tell. He shows us how Poland has been impacted by the war. He shows us the restrictions (and frustrations) that Wiktor faces as he attempts to create a musical folk ensemble. He shows us just how trapped Zula feels - how she is driven by a keen instinct for survival (a sensation emphasised by the film’s use of the square, Academy format aspect ratio). Meanwhile, by making music central to his story, Pawlikowski is able to show what was taking place in Polish society rather than having to explain the situation. This is particularly effective in scenes where the ensemble is co-opted by the Communist government and used as a propaganda tool. The combination of rich and evocative music with Pawlikowski’s use of (often carefully composed) black and white images is truly stunning. There are many scenes of startling beauty in Cold War. Thanks to the stellar work by cinematographer, Lukasz Zal, the light in this film is absolutely wonderful. Interestingly, Pawlikowski initially considered making his film in colour. However, he soon realised that he had no idea what colour 1950s Poland would or should be. “Poland was destroyed,” Pawlikowski explains. “The cities were in ruins, there was no electricity in the countryside. People were wearing dark and grey colours. So if you wanted to show that in vivid colour, it would be totally fake. And I did want the film to be vivid. Cold War is dedicated to Pawel Pawlikowski’s parents, whose names the protagonists share. The real Wiktor and Zula died in 1989, just before the Berlin Wall came down. They had spent the previous forty years together, on and off, breaking up, chasing and punishing each other on both sides of the Iron Curtain. “They were both strong, wonderful people, but as a couple a never ending disaster," Pawlikowski reflects. While in terms of factual details, the filmmaker’s fictional couple is quite unlike the real one, Pawlikowski has been wanting to tell his parents’ story for almost a decade. “Their life had no obvious dramatic shape," he says. “Although my parents and I remained very close - I was their only child - the more I thought about them once they were gone, the less I understood them". Eventually, in order to write the film, he decided to make a movie not about his parents but inspired by them and their relationship. Their shared traits became universal. For, after all, love is love… and that’s that. Wiktor and Irene’s folk ensemble is based on the Mazowsze folk ensemble, a real troupe founded after the war and still active today. Pawlikoski has suggested that his use of Academy format (the 1:1.33 aspect ratio) - so powerful in the telling of a story that is both sweeping and intimate - was also, in fact, a practical decision. “Academy format also helps if you don’t have much money for production design, because you don’t have to show so much of the world,’ he explains. If you enjoyed Cold War and have not already watched Ida I would really recommend that you see Pawlikowski’s stunning (and Oscar-winning) film. What did you think of Cold War? Let me know in the comments section below or via Twitter. You can find me @500DaysOfFilm.